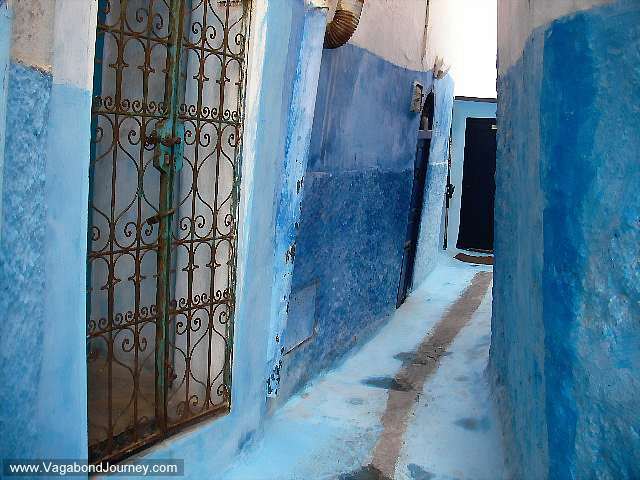 The winding blue alleys of Sale, Morocco. 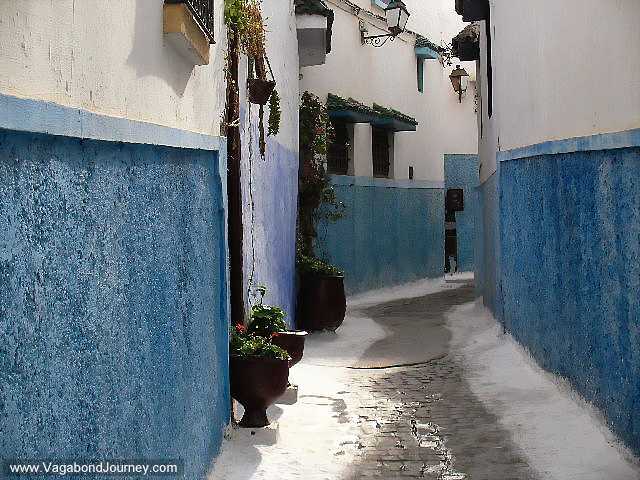 The ancient medina of Sale, Morocco. Motorcycle market of Rabat Morocco. Moroccan women outside of a restaurant in Rabat. The oddly straight streets of the medina in Rabat, Morocco. The coast of Morocco from Rabat. The artistic doors of the Arab world are no more representative than in Morocco. Archaeology excavation in Marrakech, Morocco. As well as providing a visual cue demarcating a Muslim community center and territory, the call to prayer is traditionally given from the top of the minaret. In some of the oldest mosques, such as the Great Mosque of Damascus, minarets originally served as watchtowers illuminated by torches (hence the derivation of the word from the Arabic nur, meaning "light"). In more recent times, the main function of the minaret was to provide a vantage point from which the muezzin can call out the adhan, calling the faithful to prayer. In most modern Mosques, the adhan is called not in the minaret, but in the musallah, or prayer hall, via a microphone and speaker system. In a practical sense, these are also used for natural air conditioning. As the sun heats the dome, air is drawn in through open windows and up and out of the shaft, thereby causing a natural ventilation. The world's tallest minaret (at 210 meters) is located at the Hassan II Mosque in Casablanca, Morocco. The world's tallest brick minaret is Qutub Minar located in Delhi, India. There are two 230 meter tall minarets under construction in Tehran, Iran. Sweet bread in Morocco. In the bakeries of Morocco bees usually abound in the thousands, and they walk all over the food. I do not know if the bees are kept as sugar producers or if they are there just for show. It is interesting though to watch people buying sweet bread with dozens of bees walking all over it.